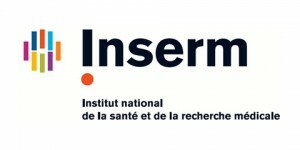 Inserm unit 844 (Mesenchymal Stem Cells, Joint Environment and Immunotherapies of Rheumatoid Arthritis) is a leader in the field of stem cells and experimental arthritis both at national and EU levels and has a close relationship with the clinical department of the University Hospital in Montpellier. The aim of the INSERM unit U844 is the development of innovative therapies for rheumatoid arthritis (RA) and osteoarthritis (OA) from fundamental knowledge about the interactions between mesenchymal stromal cells (MSCs), myeloid cells (DC and monocytes) and T lymphocytes (regulatory and effector T cells), involved in the induction and regulation of synovitis and chondrogenesis. Research at INSERM U844 focuses on MSC with the objective of characterization of the molecular mechanisms responsible for their chondrogenic and immunosuppressive effects in osteo-articular diseases, such as RA, OA and systemic scleroderma. Research Director and head of the group "Mesenchymal stem cells and cartilage repair: regeneration, inflammation and senescence"
Dr Danièle Noël is a Research Director and head of the group "Mesenchymal stem cells and cartilage repair: regeneration, inflammation and senescence", which comprises 4 senior researchers (Inserm or University Hospital), two engineers as well as post-doctoral fellows and doctoral students at the Inserm Institute, in the division U844.